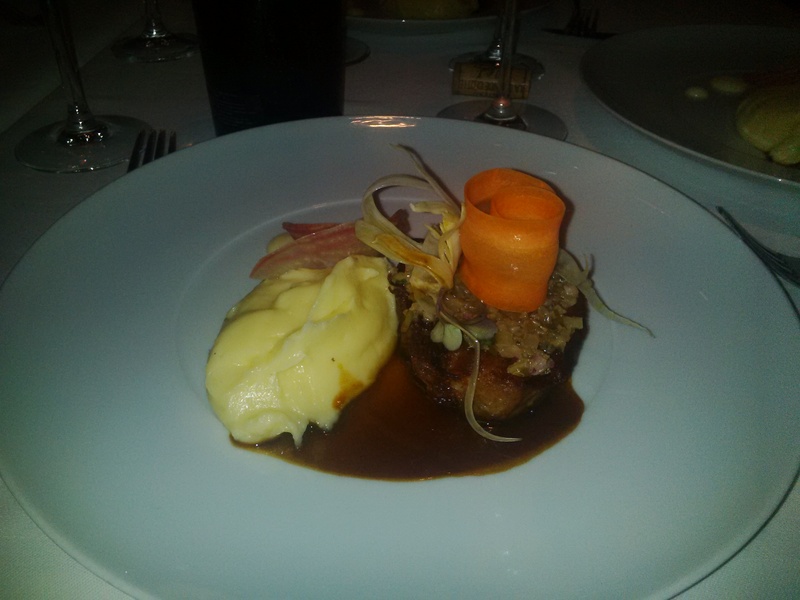 Last TUE evening on May 5th I attended a special dinner at Le Bistrot Francais near Ateneu organized for 10 people that included some fancy wines paired with a tasting food menu. 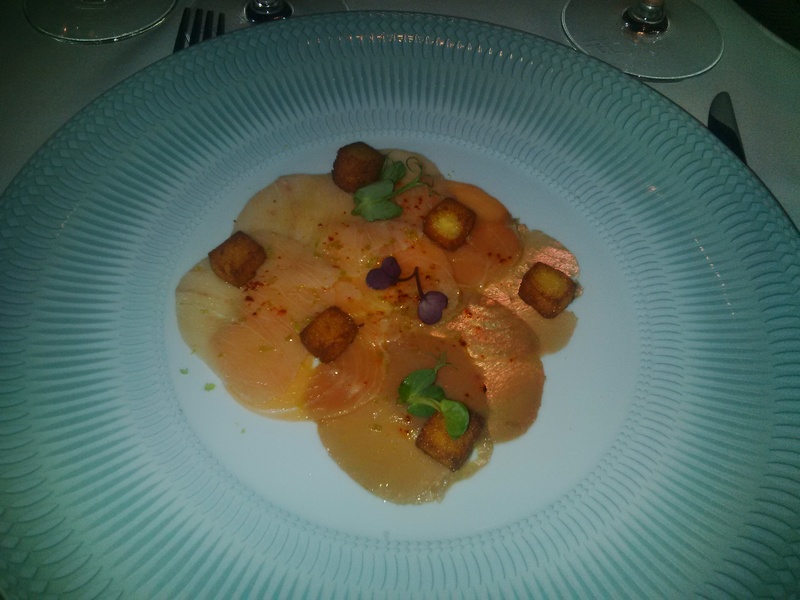 Each wine was matched with a dish meant to enhance the overall culinary experience. The tasting food menu was: Cinco Jotas Jamon Iberico de Bellota 36 months aged, Special Oysters Daniel Sorlut No1 and La Perle Blanche No 3, Fish carpaccio, lime flakes, crispy chickpeas sticks with rosemary, Braised sea bass, mashed potatoes with olive oil, truffles sauce, “Crispy-fondant” pork belly, ravigote sauce, crispy vegetables, potatoes puree, Wagyu entrecote, potatoes puree à la Joël Robuchon, Exotic fruits, coconut sorbet, meringue, Dried plums ice cream with Armagnac. 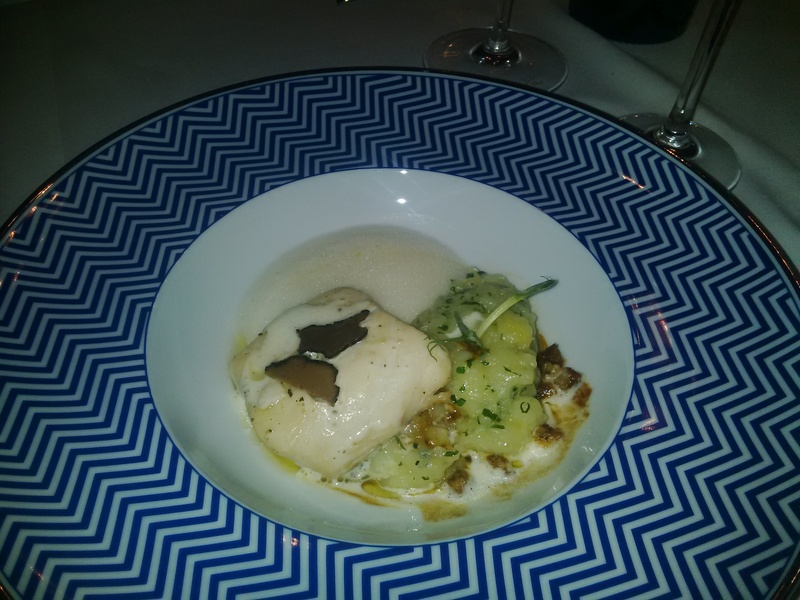 The food was again top as my last visit here, my favorites were the Special Oysters Daniel Sorlut No1, Braised sea bass, mashed potatoes with olive oil, truffles sauce and “Crispy-fondant” pork belly, ravigote sauce, crispy vegetables, potatoes puree. 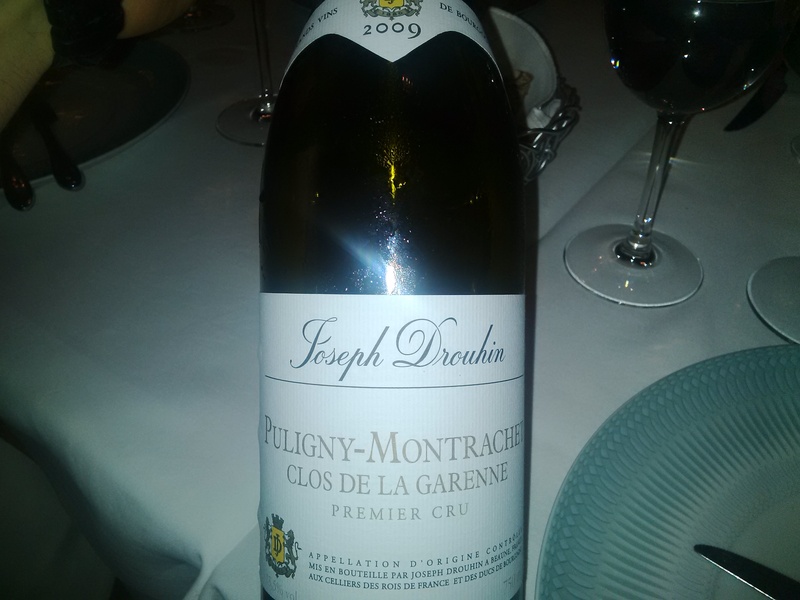 2009 Joseph Drouhin Puligny-Montrachet 1er Cru “Clos de la Garenne” was a refreshing Chardonnay, its aromas jump from the glass. An initial flinty character gradually leaves room for aromas of fresh citrus, apricots and wet stones. 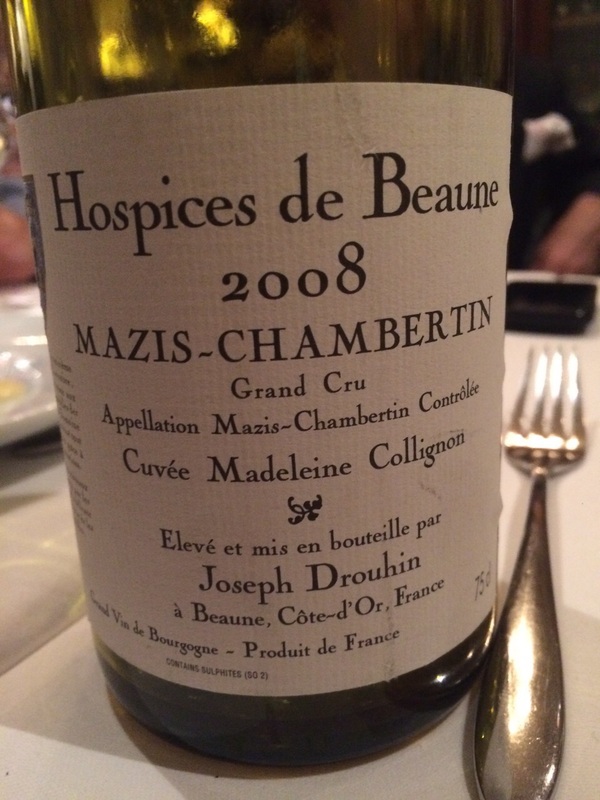 There is intensity on the palate, with lively citrus fruit and flint and overall great freshness. Long finish. (93/100) Pairing with fish carpaccio was a happy choice. 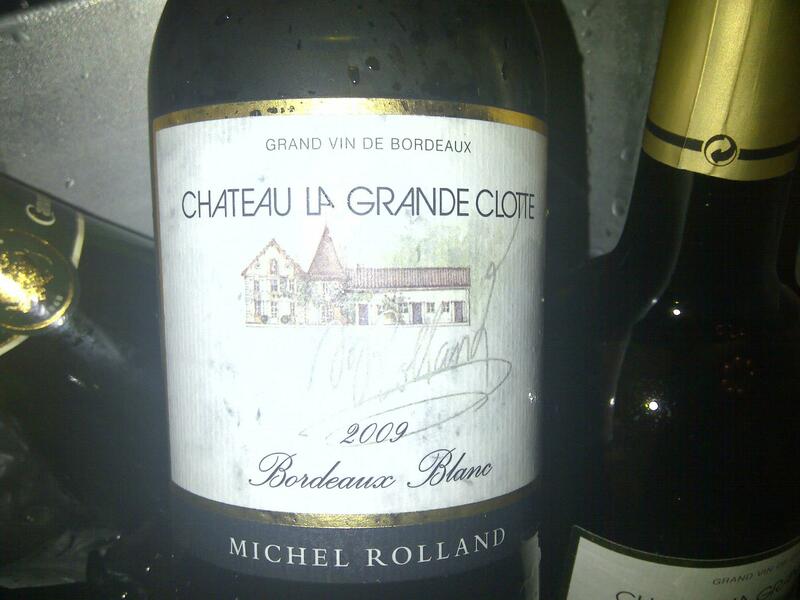 Chateau La Grande Clotte 2002 made by Michel Rolland was not on the initial wine list and was a spontaneous offer from the host. The color is amber and the wine shows strong signs of being too old. The same apple cider aroma as the Champagne but more intense and overwhelming. 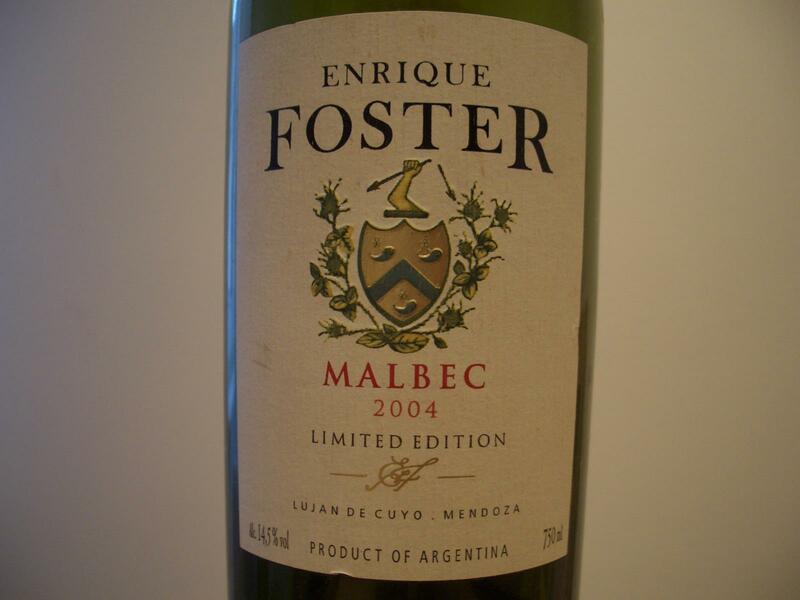 There is bright acidity on the palate but you have to be generous to enjoy it now. Probably a strong cheese pairing as was suggested at the table would put this wine on a better spot. 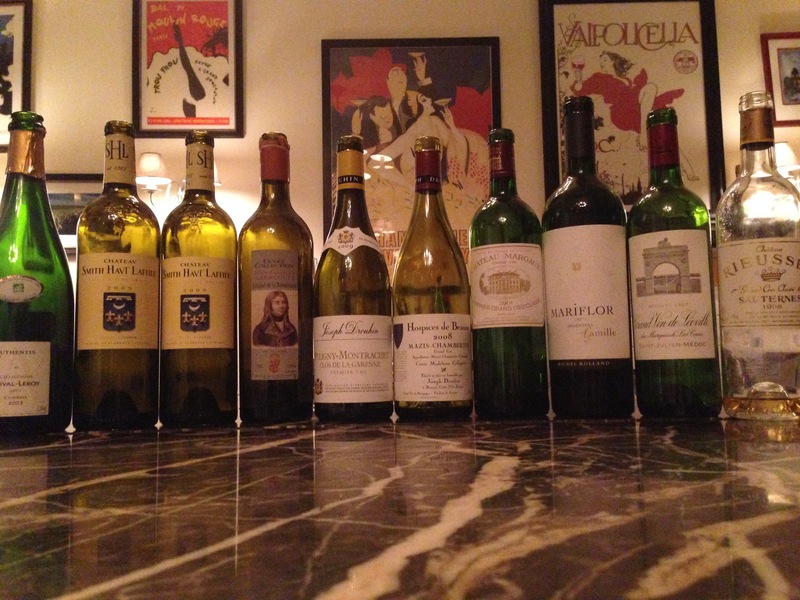 It was great culinary experience, a line up of top wines that puts me in a great challenge to pick a top 3. I was invited to attend a very interesting tasting organized by Le Manoir, the Romanian importer and distributor of Michel Rolland’s wines. I believe, or would like to believe, that any person that likes and consumes wine, or at least is interested in wine, heard about Michel Rolland. As debatable as his wines are perceived for being too extracted or too oaky, most of the prestigious Chateaux in Bordeaux employ his consulting services. He is definitely a great blender. 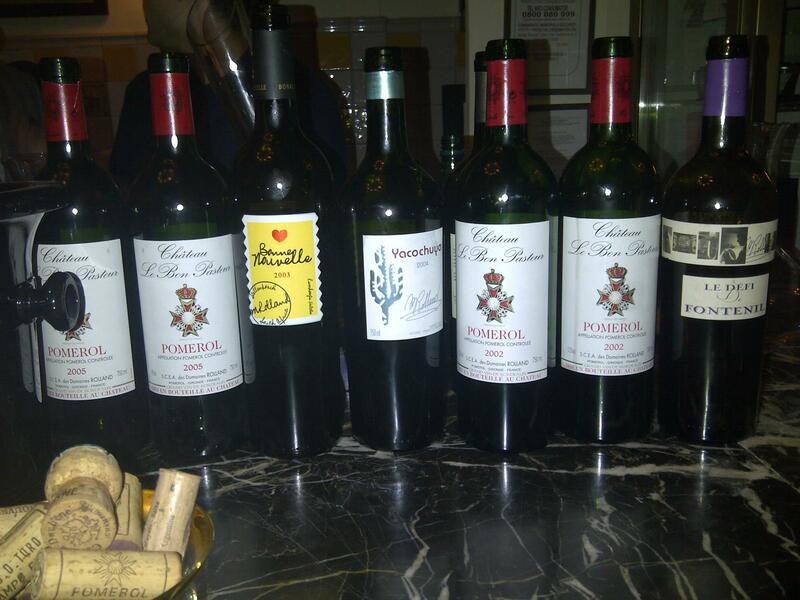 Last night Mr Rolland’s son-in-law, David Lesage, presented some of the wines included in the so-called Rolland’s Collection. I actually met Mr Lesage one year ago when he conducted another wine session presenting the same Collection but some from different vintages, session organized also by Le Manoir. His presentations are interesting and engaging, filled with technical details but also spiced up with “behind the curtain” information. I found out last night that in Bordeaux it became mandatory to mention the alcohol level on the labels starting with the ’70s. If the alcohol level is above the appellation’s rules a producer might not be able to use the AOC for that particular vintage. 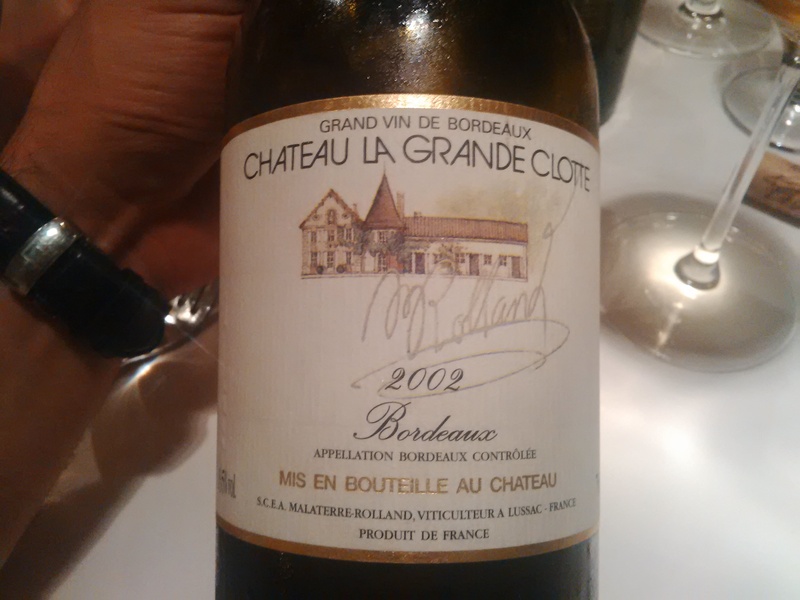 Mr. Lesage mentioned how Michel Rolland had the initiative to measure the alcohol level in a legendary wine: 1947 Chateau Cheval Blanc and the result is just staggering: 14.8%. Should the 1970s regulations have been in place in 1947, Cheval Blanc would have not carried the Saint-Emilion Grand Cru appelation. Interesting information for a wine geek. 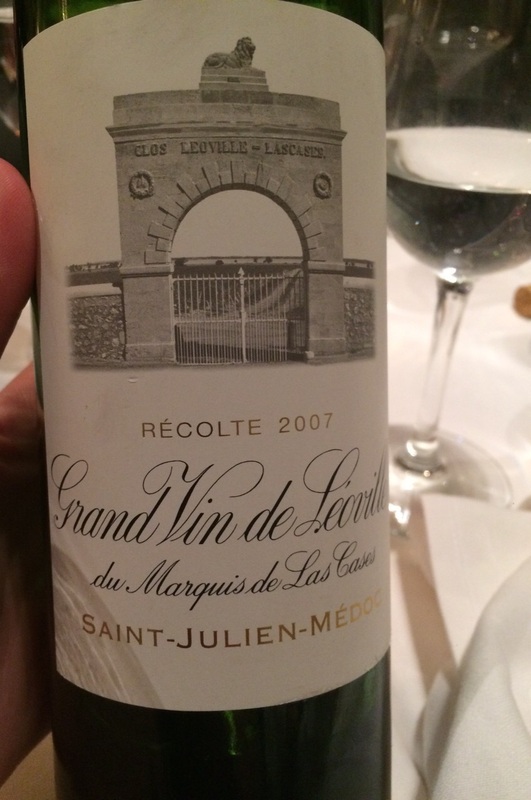 So the blamed high alcohol levels we see often today on Bordeaux wines are not a first. We started with a white wine made from a 1 ha plot from Lussac-Saint-Émilion, normally a red wine appellation, labelled as a Bordeaux Blanc and produced in a relative short supply. The wine is aged for up to 12 months in new French oak barrels. The use of new French oak barrels is a common thing to all wines in the Rolland’s Collection. 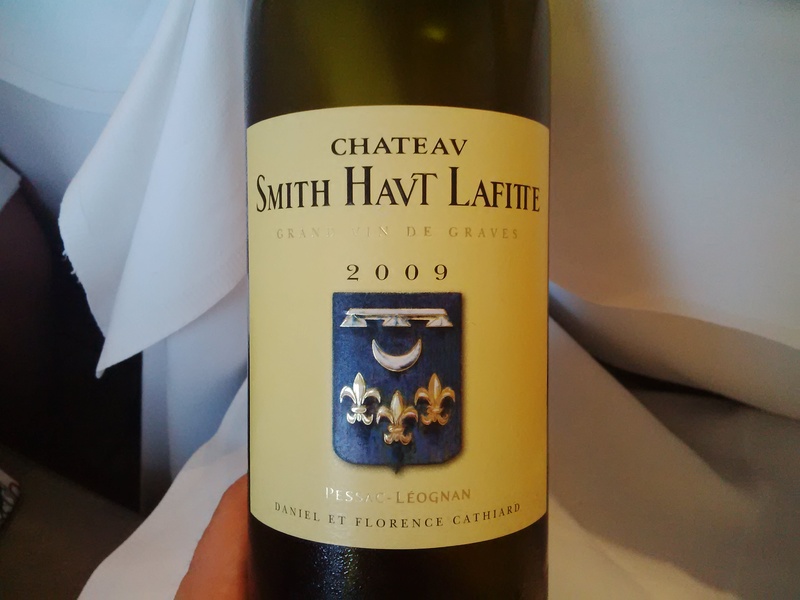 Chateau La Grande Clotte 2009 is a white blend of Sauvignon Blanc and Gris, Semillon and up to 50% Muscadelle. The wine is opulent, both on the nose, as on the palate, oaky and elegant is the last word that comes to my mind when describing this wine. A wine that grabs your attention immediately but a bit too much for me. 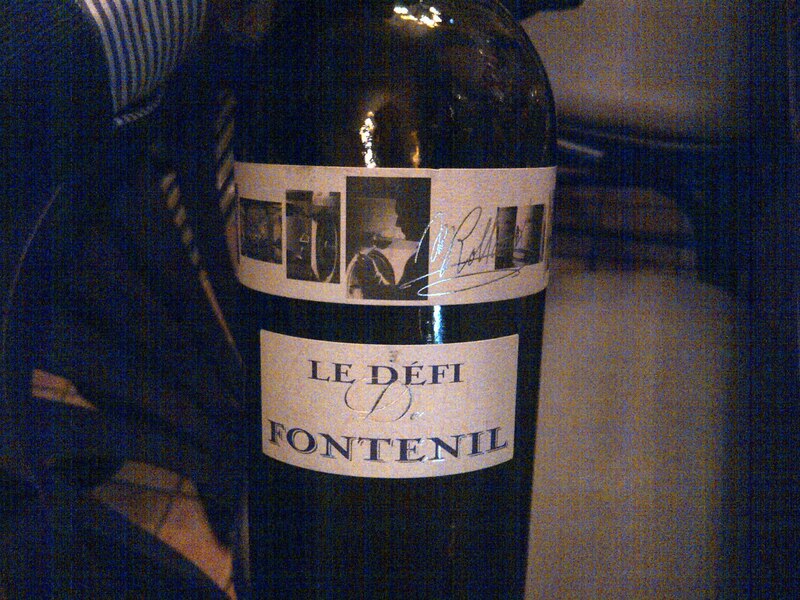 Next wine was Le Defi de Fontenil, a 100% Merlot made only 5 or 6 times since 1999: 2000, 2001, 2004, 2005, 2008 and 2009 (if I understood correctly). Even though the property sits in Fronsac, the wine is labelled as a simple Vin de Table because INAO did not approve the experiment started in 2000 by Dany and Michel Rolland to place plastic sheeting on the soil between the rows of vines on some plots in Château Fontenil to prevent rain penetration during the month preceding the harvest. It is probably one of the most, if not the most expensive Vin de Table produced in France. The berries are fermented in open oak barrels custom made for the Chateau, while the temperature is controlled by the use of dry ice. Aged for 18 months in new French oak barrels, this is an opulent, super concentrated and hedonistic expression of Merlot. 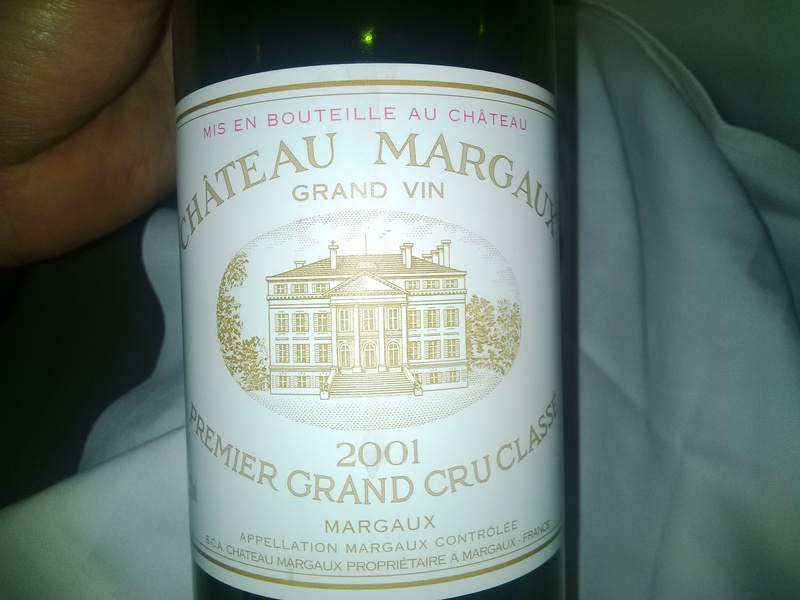 We had the 2005 vintage which is extremely youthful, oaky, concentrated, structured, with fine sweet and fully ripe tannins. 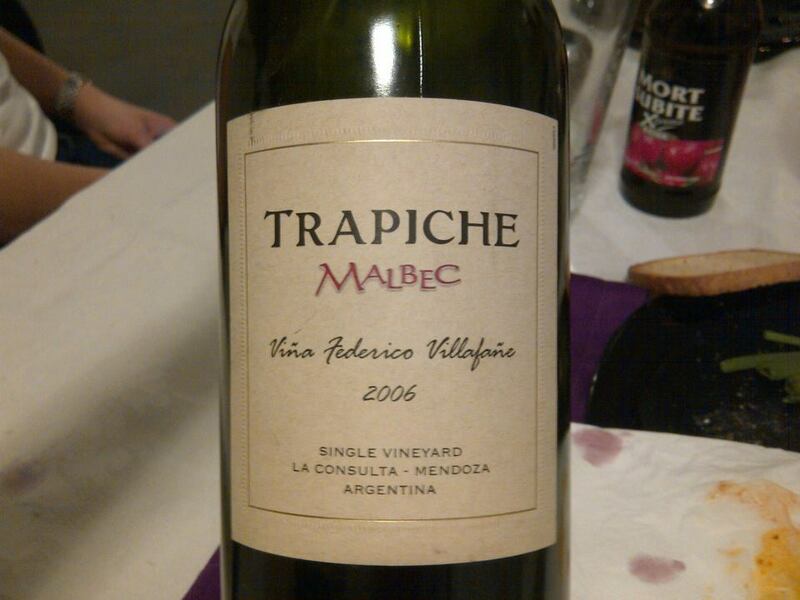 Long finish with opulent aromas and flavors of plums, cassis and prunes. Too young to be fully enjoyed at the moment. Probably a guy on steroids would mirror the image of this wine. A style that has its own fans. 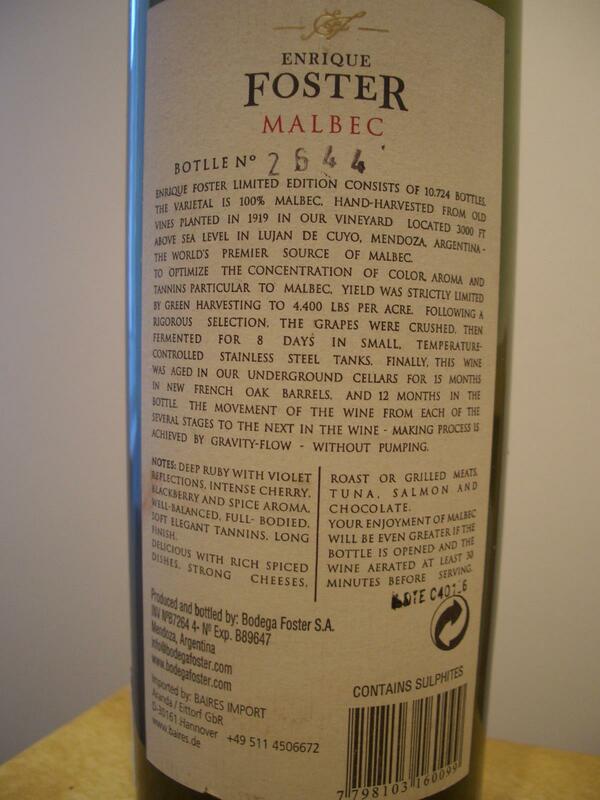 Being a Vin de Table the producer is not allowed to mentioned the vintage on the label, however on the back label it is specified differently this information: 2005 appears as 05 and similarly for other vintages. The 2003 Remhoogte Bonne Nouvelle made in South Africa, a blend of Cabernet Sauvignon, Merlot and Pinotage shows a more classic line, in complete antitheses with Le Defi de Fontenil. It is a style that I like more and it is hard to stay away from its pleasant smoky profile. Really balanced and perfectly enjoyable. At almost 10 years of age it is youthful and capable to hold many more years. Last two wines were both Malbec’s made in Argentina: Val de Flores 2004 from vineyards sitting at 1000 m altitude, and Yacochuya 2004 from vines sitting at over 2000 m altitude. The climates are completely different as the properties are separated by over 1000 km. 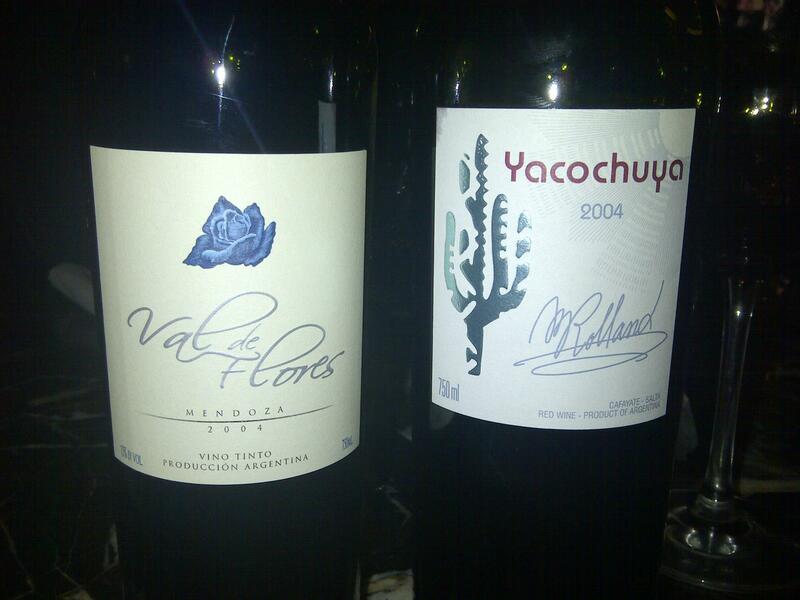 Both wines show an incredible high alcohol level: 15% for Val de Flores and a staggering 16.5% for Yacochuya, both are powerful wines but show amazing balance, ripe sweet tannins, structure and concentration to hide the heat. Yacochuya is massive and super-concentrated, probably one the most concentrated wines I tasted so far and yet silky on the palate. 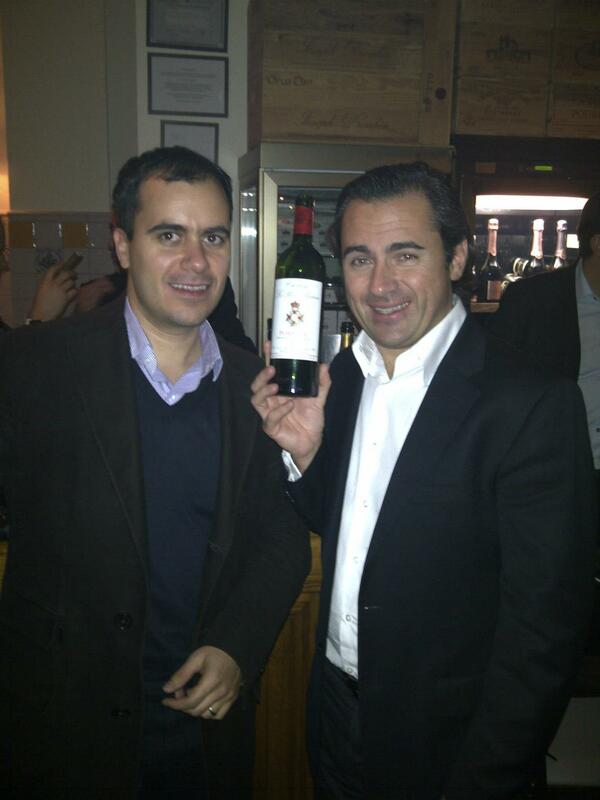 (91-92/100) for Val de Flores 2004 and (93-94/100) for Yacochuya 2004. There was also a Spanish Tempranillo made in Toro: 2003 Campo Eliseo (Champs Elysées in French), a wine made together with Jacques Lurton. A modern expression of Tempranillo. The tasting was fun and interesting and after so much alcohol I left home a happy man. Before this event I actually had the chance to taste 3 other great wines: 2001 Masi Mazzano (92-93/100), 2006 Renato Ratti Barolo Marcenasco showing already a good approachability (91/100) and a very young and woody 2009 Tignanello (91/100). 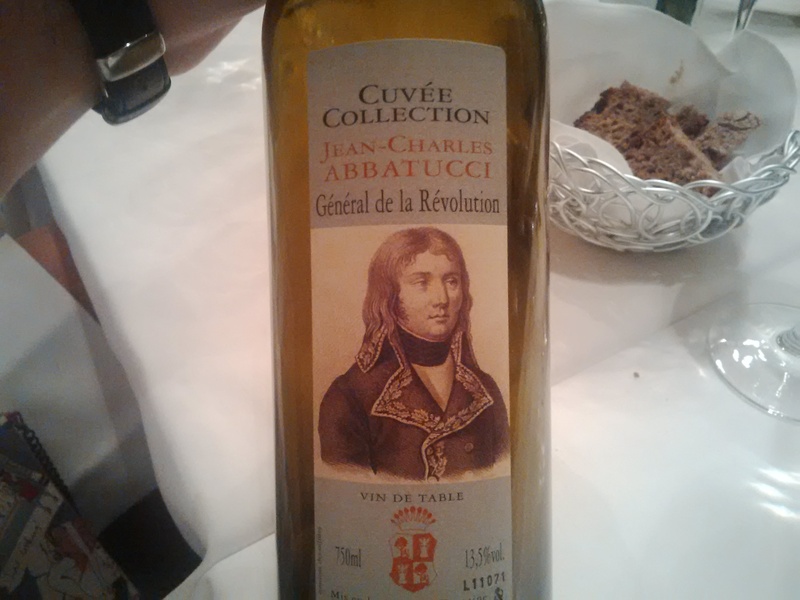 I tasted this wine several times over the last 3-4 years and I was able to observe his evolution. 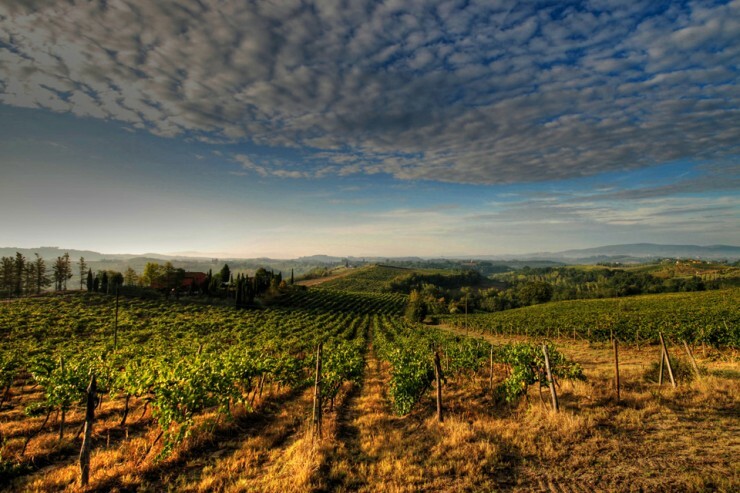 It is said that most top notch New World wines do not evolve after their 5th or 6th year from the vintage. Being able to sample at least a bottle per year since 2009, I observed a smooth transition from really big oaky flavors with plenty of coconut, caramel and creme brulee, and almost opaque, deep dark red-purple color, to where the wine it is today. 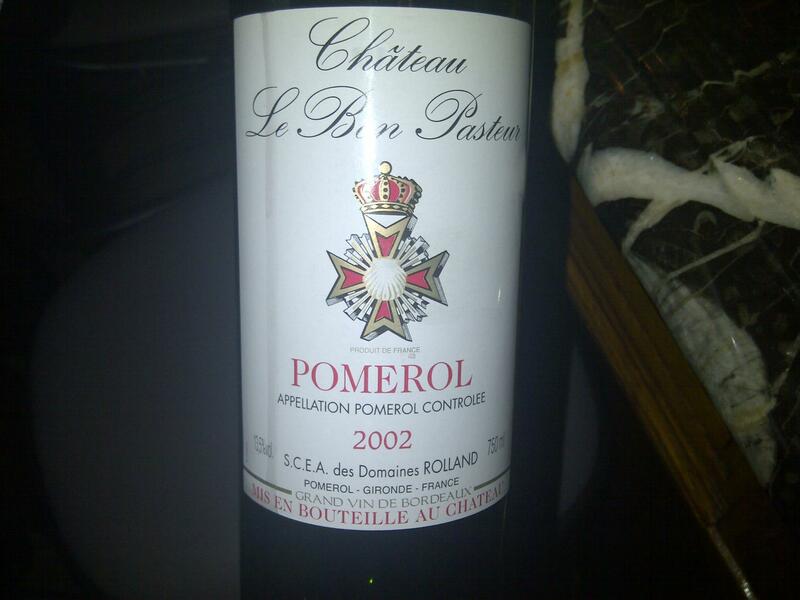 This was one of the first wines I enjoyed when I discovered my passion for wines. 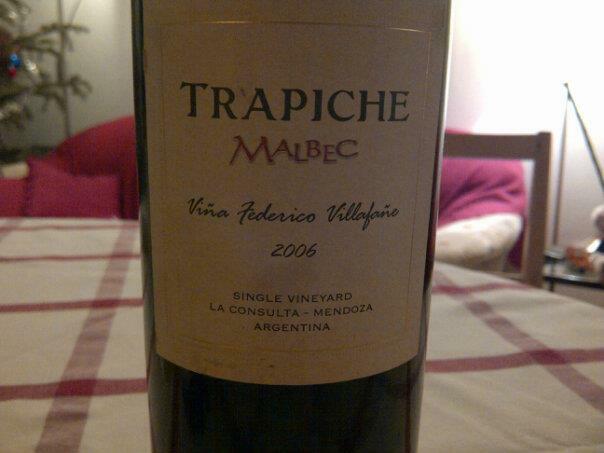 The Single Vineyard category is a selection of the best three Malbecs that Trapiche chooses every year from the vineyards and the producers they work with, while these wines become their statement for excellency. These wines spend 18 months in new French oak. It’s been more than one year since my last tasting of this wine. I am very curious if this wine will evolve and develop other subtleties in time. I guess that remains to be seen. Meanwhile the wine is extremely open and available for drinking as it is. 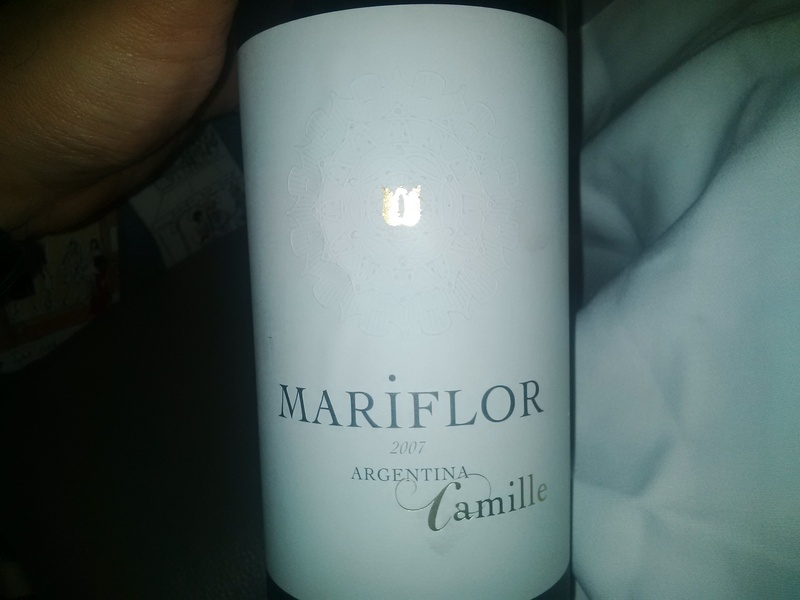 This is the oldest Argentinian Malbec I had so far and it was a big curiosity for me to see how a New World wine evolves with age. The wine is dominated by primary aromas an there is no sign of evolution. My knowledge so far with these type of New World wines is that they cease any particular evolution after their 4th or 5th year from the vintage and what happens is that eventually, the wine dries out, losing the sweet, fruity aromas that usually dominate them, leaving very little that can excite the palate. Naturally, the exceptions can be interesting to sample.